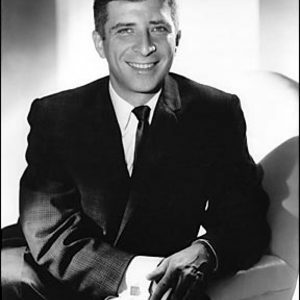 Elmer Bernstein (pronounced "BERN-steen", IPA: [?b?? ?nsti?n]) (April 4, 1922 ? August 18, 2004) was an Academy and two-time Golden Globe award winning American film score composer. Bernstein was born in New York City. During his childhood he performed professionally as a dancer and an actor and won several prizes for his painting. He gravitated toward music by his own choice at the age of twelve, at which time he was given a scholarship in piano by Henriette Michelson, a Juilliard teacher who guided him throughout his entire career as a pianist. Bernstein was born in New York City. During his childhood he performed professionally as a dancer and an actor and won several prizes for his painting. He gravitated toward music by his own choice at the age of twelve, at which time he was given a scholarship in piano by Henriette Michelson, a Juilliard teacher who guided him throughout his entire career as a pianist. She took him to play some of his improvisations for composer Aaron Copland. Copland was encouraging and selected Israel Citkowitz as a teacher for the young boy. Bernstein's music has some stylistic similarities to Copland's music, most notably in his western scores and in his spirited score for the 1958 film adaptation of Erskine Caldwell's novel, God's Little Acre. He wrote the theme songs or other music for more than 200 films and TV shows, including The Magnificent Seven, The Great Escape, The Ten Commandments (1956), The Man with the Golden Arm, To Kill a Mockingbird, Robot Monster, Ghostbusters and the fanfare used in the National Geographic television specials. His theme for The Magnificent Seven is also familiar to television viewers, as it was used in commercials for Marlboro cigarettes. Bernstein also provided the score to many of the short films of Ray and Charles Eames. Bernstein was recognized by the Hollywood Foreign Press Association with Golden Globes for his scores for To Kill a Mockingbird and Hawaii. In 1963 he was awarded the Emmy for Excellence in Television for his score of The Making of The President, 1960. He is the recipient of Western Heritage Awards for The Magnificent Seven (1960) and The Hallelujah Trail (1965). He received five Grammy nominations from the National Academy of Recording Arts and Sciences and garnered two of Broadway's coveted Tony Award nominations for How Now Dow Jones and Merlin. Additional honors included Lifetime achievement awards from the Academy of Motion Picture Arts and Sciences, American Society of Composers, Authors and Publishers (ASCAP), The Society for the Preservation of Film Music, the USA, Woodstock, Santa Barbara, Newport Beach and Flanders International Film Festivals and the Foundation for a Creative America. In 1996, Bernstein was honored with a star on Hollywood Boulevard. In 1999, he received an Honorary Doctorate of Music from Five Towns College in New York and was honored by the American Film Institute in Los Angeles. Bernstein again was honored by ASCAP with its marquee Founders Award in 2001, and with the NARAS Governors Award in June 2004. He received 14 Academy Award nominations, but his only win was for Thoroughly Modern Millie. In addition to his film music, Bernstein wrote the scores for two Broadway musicals, both of which were famous flops of their eras: How Now, Dow Jones in 1968 and Merlin in 1983. Along with many in Hollywood, Bernstein faced censure during the McCarthy era of the 1950s. He was "gray-listed" (not banned, but kept off major projects) due to sympathy with left-wing causes, and had to work on low-budget science fiction films such as Robot Monster and Cat-Women of the Moon. John Landis grew up near Bernstein, and befriended him through his children. Years later, he requested Bernstein do the music for National Lampoon's Animal House, over the studio's objections. He explained to Bernstein that he thought that Bernstein's score, playing it straight as if the comedic Delta frat characters were actual heroes, would emphasize the comedy further. Bernstein accepted the job, and it sparked a second wave in his career, where he continued to do high-profile comedies such as Airplane!, as well as most of Landis's films for the next 15 years. When Martin Scorsese announced that he was re-making Cape Fear, he requested Bernstein do the job of adapting Bernard Hermann's original score to the new film. Bernstein leapt at the opportunity to work with Scorsese, and to pay homage to Hermann; Scorsese and Bernstein subsequently worked together on two more films in the 1990s. Bernstein died of cancer in his sleep, at his home in Ojai, California. He was not related to composer/conductor Leonard Bernstein.